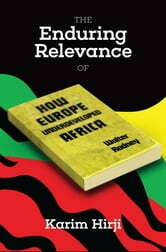 Soon after its publication in 1972, Walter Rodney’s How Europe Underdeveloped Africa (HEUA) gained global popularity among progressive students, scholars and activists, and people concerned with African affairs. His innovative application of the method of political economy was a prime contributor to shifting the paradigm for rendition of the continent’s past as well as for visualizing its possible trajectory. Because it stridently took the traditional historians of Africa and the prevailing neo-colonial order to task, it was also vociferously criticized by the defenders of the status quo. In these neoliberal times, its visibility has waned. Mainstream scholars and pundits from and outside of Africa proclaim that it is no longer a relevant work for Africa. 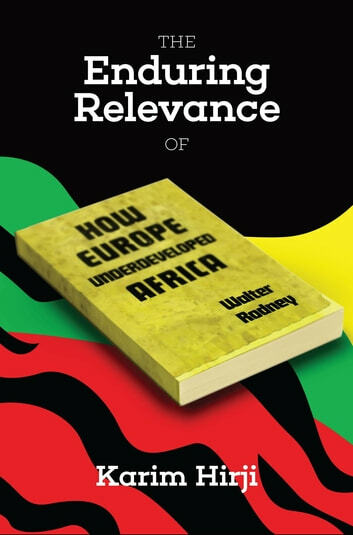 In The Enduring Relevance of Walter Rodney's How Europe Underdeveloped Africa, Karim F Hirji makes a systematic case that, on the contrary, Rodney’s seminal work retains its singular value for understanding where Africa has come from, where it is going, and charting a path towards genuine development for the people of Africa. Hirji considers Rodney in his unitary persona as a historian, theoretician and activist. He begins by outlining the publication history and contents of HEUA, and noting the comments it has drawn from varied quarters. This is followed by a depiction of the global context within which it saw the light of the day and the flowering of progressive thought and vision in those vibrant times. The retrogressive reversal, in thought and social reality, that has transpired since then is summed up next. An assessment of how HEUA has weathered this storm is also provided. The next chapter presents a brief portrait of Rodney as a revolutionary, with the focus on his seven years at the University of Dar es Salaam. This is followed by an overview of the methodological framework utilized in HEUA. These five chapters lay the foundation for the main substantive part of Hirji’s book. This part begins with a detailed evaluation of the criticisms that have been levelled at HEUA. Subsequently, by a review of eight textbooks of general African history in common use today is provided. The aim here is to assess the persistence, if any, of ideas of the type promoted by Rodney in such books and identify the manner in which HEUA is directly depicted therein. Do these books give an adequate and fair depiction of Rodney to modern day students? The penultimate chapter argues for the continued relevance of Rodney and his seminal text for Africa (and the world) in this anti-people, pro-capital, pro-imperial neoliberal era. Hirji concludes with a lively account of his own interactions over six years with Walter Rodney. With the focus on the issue of building socialism in Tanzania, a key dimension in the evolution of Rodney’s thinking is described in a critical spirit. The fundamental question addressed is, in our often dark, demoralizing political environment, what do Rodney and his life have to teach us on the matter of navigating between hope and struggle? The conclusion emerging from this book is that in the first place most of the criticisms of the content, style and practical value of HEUA lack merit. The representation of Rodney in mainstream books is as well replete with distortions, unfair selectivity and political bias. Hirji’s succinct work is a consistent, coherent defence of an intellectual giant, an astute historian and a compassionate revolutionary who lived and died for humanity. It is an essential read for anyone with an interest in African history, and the fate of Africa and the regions that are historically related to it. Can We Solve the Migration Crisis?